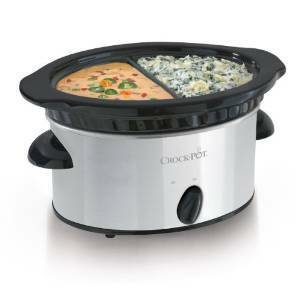 Crock-Pot Double Dipper Warmer Slow Cooker Just $14.88! You are here: Home / Great Deals / Amazon Deals / Crock-Pot Double Dipper Warmer Slow Cooker Just $14.88! Hurry over to Amazon where you can get the Crock-Pot Double Dipper Warmer Slow Cooker for just $14.88! This will be perfect for any upcoming parties or if you want to make a smaller portion. Shipping will be FREE with Amazon Prime or an order of $35 or more.